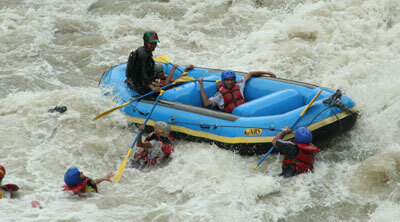 Rafting is a challenging recreational outdoors activity using an inflatable raft to navigate a river or other bodies of water. 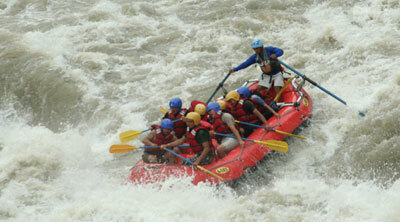 The development of this activity as a leisure sport has become popular since the mid 1970. 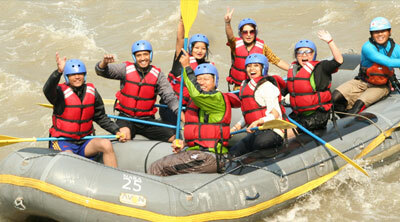 Rafting in Nepal is usually done on white water or different degrees of rough water, in order to thrill and excite the raft passengers. 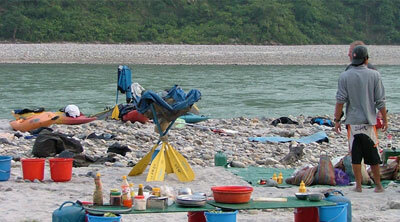 The fast running river comes from High Mountain with colorful and intricate Hindus religion to the austerity of Buddhist monasteries. From these breathtaking heights, rivers crash down through the foothills, fed by monsoon rains and melting snow, on their way to the great Plains of the Ganges. Rafting in Nepal has many rivers to explore; Trishuli River 1 to 3 days, Seti River trip 2 days, Bhote Koshi River 1 to 2 days, Kali Gandaki River 3 days, Marshyangdi River 4/5 days, Sun Koshi River 7 - 9 days, Arun River 9 days, Karnali River 10 days, Tamur River 10/11 days. On these rivers you will find the world's most thrilling whitewater with a wide range of difficulties, warm water and bug free beaches for camping. 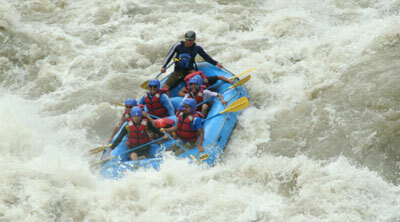 All this makes a wealth of unlimited opportunities for great river rafting, kayaking adventures in Nepal. Asian Hiking Team proud to share adventure rafting or Kayaking activities in our wonderful country are our one of the extra service. Many years of experience in this field with you and give an excellent opportunity to explore the remote countryside which is never possible without river raft. We provide necessary raft equipment, documents, safety training, rescues arrangements, camping gears and friendly staffs with affordable price.